Buddhism in the Modern World explores the challenges faced by Buddhism today, the distinctive forms that it has taken and the individuals and movements that have shaped it. Part One discusses the modern history of Buddhism in different geographical regions, from Southeast Asia to North America. Part Two examines key themes including globalization, gender issues, and the ways in which Buddhism has confronted modernity, science, popular culture and national politics. Each chapter is written by a distinguished scholar in the field and includes photographs, summaries, discussion points and suggestions for further reading. 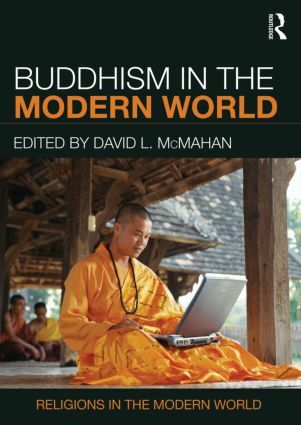 The book provides a lively and up-to-date overview that is indispensable for both students and scholars of Buddhism.